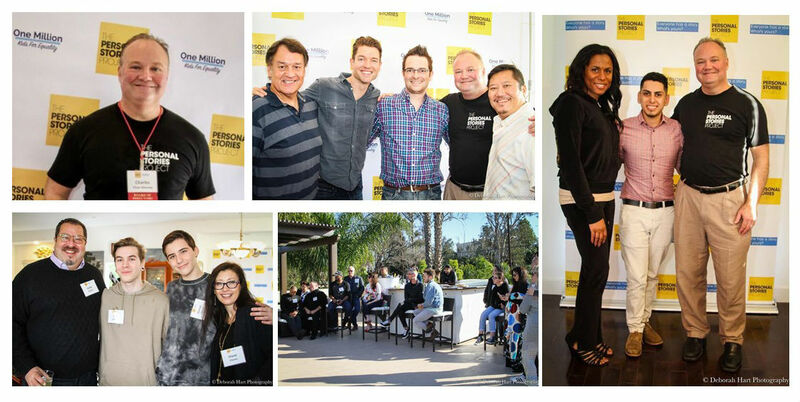 The Personal Stories Project and One Million Kids for Equality held their first annual joint fundraiser on Sunday, March 5th at the home of Joseph Chan and Charles Chan Massey in Los Angeles. More than 50 guests attended, and just under $5,000 was raised. 10% of the net proceeds will be donated to the Los Angeles LGBT Center to be directed towards their Youth Center on Highland. The balance will be equally divided between the two organizations to support their respective missions of collecting and sharing stories from the LGBT community to help change hearts, minds, and lives. Guests also had the opportunity to assemble hygiene kits which will be donated to the Youth Center on Highland, which serves between 80 and 100 homeless and at-risk young people per day. The event also featured a mini-screening of Gender Revolution: A Journey with Katie Couric, a two-hour documentary where acclaimed journalist Katie Couric sets out to explore the rapidly evolving complexities of gender identity.